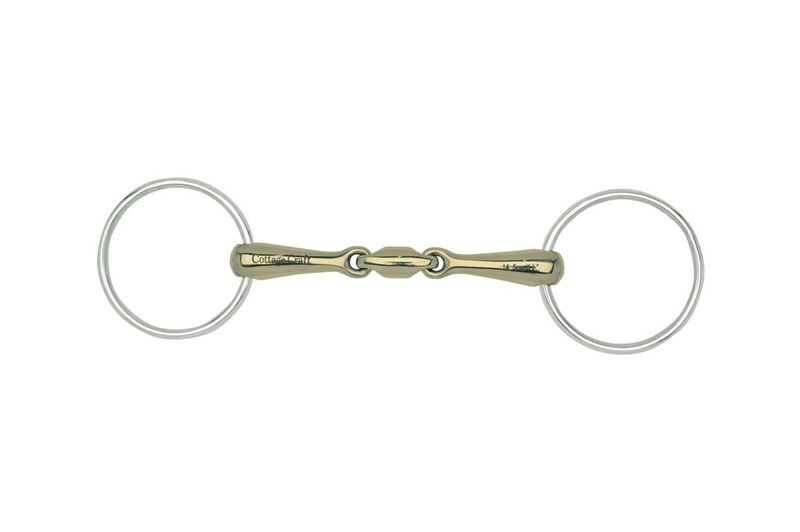 From the Cottage Craft collection comes the GS Thick Mouth Loose Ring Snaffle with elliptical link. A beautiful and practical snaffle which encourages the horse to relax its jaw and chew the bit whilst greater movement of the snaffle is enabled through the elliptical link. Ideal for horses who dislike nutcracking jointed mouthpieces as the link removes all risk of that. Leaving a warmer feel in the horses due to it being made from German Silver the GS Thick Mouth Loose Ring Snaffle with elliptical link is perfect for young horses or horses who usually fight acceptance of the bit. There are currently no questions for Cottage Craft GS Thick Mouth Loose Ring Snaffle with Link - be the first to ask one!